Hmm..what do you think? Am I not a thinking and feeling human(e) being? Ofcourse, I am. So its only natural that I do feel down, sometimes. I do get upset, sometimes. I do get agitated sometimes too. But, does that stop me from thinking positively about the situation at hand> NO! You know why? Its just as simple as- I’ve been on the other side. I’ve been on the negative, self-centered, self-torturous, self annihilating and most of all destructive Side. And believe me, its not a very pretty side to be. Everything on this side is dull. Its gloomy. Its pitch black. You cant see where you’re going. You can’t feel what you’re feeling. You are just technically alive, but living dead. All this cause I was thinking negatively about every little thing that came my way. This time of my life was so clueless. You think you know what you’re doing, but in its reality, when I think about it now, I had no idea how I was truly functioning. I discovered positive thinking all by accident. At the age of 21, when I was stuck in a rain storm, soaking wet, wondering how I am going to get home…I opened my purse to check how much money I had to actually catch a cab to go home. The wallet wasn’t in my purse! It was no where in my ginormous purse. I looked for it for nearly 10 minutes in that pouring rain and didn’t find it. Which simply meant it was stolen on the way and that I had no money. No money for anything. No cab, No bus, No train, Nothing! If youre wondering why I didn’t call someone…well this was the time when cell phones weren’t an everyday thing. I literally sat down on the sidewalk, and started wondering “I’m in the middle of pouring rain, no money to get home, no way to call anyone, its late. I’m going to remain here forever, who’ll notice me gone? …blah blah and blah”…the negative thoughts had taken over. Which was actually pretty normal for me then, considering the kind of person I was at that phase of my life. After sitting on that sidewalk for like an hour, my thoughts just took an absolute U turn! How? I dont really know. But, thinking about it now, I think my mind and my being was just so tired of thinking and feeling negative, that it just found a way. Suddenly, I had thoughts, new thoughts. Thoughts I felt happy with. Imagine that…soaking, dripping wet, alone, robbed, no money, almost 3 hours away from home- I was feeling fine. What changed in that split moment? You might be thinking, she is going to reveal this big, huge technique or secret she used to get out of the negative thinking trap. But, on the contrary, its a very simple NOTHING! Yes, Nothing! I stopped thinking cause I was so so tired of all the negatives that were coming in front of me. I went blank. And in this blank, out of nowhere came good thoughts, happy thoughts, parallel ideas of getting home and hugging Mum(who must be worried about me). I caught a cab and went home..made the cab driver wait out till I grabbed some money from home and paid him. Just that simple. The change was I let my brain rest, by shutting down and being tired of all the negatives, I let my inner-self, my heart emerge. I let that true simple, innate self take over. IN that take over, I was gifted with Positive thinking. I didn’t know it was positive thinking till I read and researched about it later. That was my moment of epiphany! It was a very small situation, but it taught me to be ME. I realized that my over thinking and constantly worrying about everything attitude was literally harming me and holding me back. So, What is Positive Thinking really??? But, By experience and understanding it is your Guide. Your true self, your heart self, your soul guiding you to live life happily. Our constantly pushing our minds to over think, to over analyze has led to our true heart centered self to be buried in the rubble of pain, anger, agitation, loneliness, hatred, confusion…..
We cease to exist. All that exists is negativity. We need to get rid of that negative rubble from over our true self and shine! We are all born to Shine. We are all precious, perfect and priceless. Positive thinking helped me heal. It made me see the best of the world. It made me more aware. It made me hope. It made me live soulfully. It made living happily so simple. It is my only savior in my most trying times. Hence, I am an unwavering positive thinker. An Optimist. When I can be happy, love life, LIVE life, feel life….why would I want to go back to the other Negative side? What about YOU…Are you a positive thinker? How do YOU keep yourself positive in the most stressful situations? Share your tips and thoughts in the comments. Sharing Is Caring and a whole lot of FUN! Share the JOY! Our heart self ceases to exist, AND we become dumb and numb. It is so cool that when you stopped thinking, you found a solution, because your heart is so much more intelligent. Our heart is so much more in tune with the universe intelligence that always knows solutions and always knows a way out. In stress full times I keep myself positive by doing things that take my mind off the negative. And as I can only have one thought in my head, my minds stops making things up while it concentrates on the do-ing. It always works and like you I do like positive thoughts much better. Youre so right! Our heart is so much more intelligent. It understand the universe so much better and is gentler with us too. And the DO-Ing..now thats the best way to stay positive. Positive thoughts are better than anything else…they make the world seem better. Hugs to you for being here and sharing your thoughts. 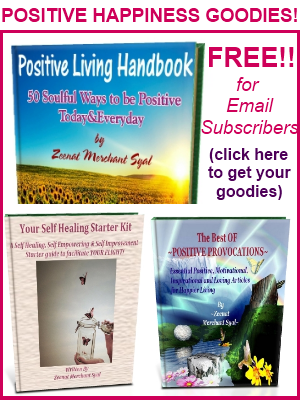 Hi Zeenat .. we all want to live and to be positive .. that’s what our bodies and brains tell us all the time – if we listen. We need to keep these positive thoughts up front, not let the negatives creep in .. if we’re struggling with tough times we need to keep a list that we can pull up of all the things going for us .. so much more than so many others in the world, and probably locally to us. Life may be tough now -but it will get better .. remember that. “If we listen” …now those are golden words! WE often let those negatives creep in cause we simply are so deafened by the outside noise, that we forget to listen to our hearts. And yes, it does get better…we just have to have patience and keep the faith. It is so easy to play the victim and think we have yet again ‘drawn the short straw’. Looking beyond our immediate problem and realising it’s only there because we have decided to allow it to be. We can eliminate our negative thinking by using a more positive thought process, as you did. By doing this we release our negative energies and make room for an abundance of more positives ones. I thoroughly enjoyed reading this post, thank you for sharing your thoughts. Making room for abundance, by replacing negatives with positive-WOW! You really said it perfectly! One of the things that struck me as I read this (because there were many 🙂 ) was that positive thinking isn’t really about thinking at all. It truly is getting OUT OF OUR HEADS and back into our hearts, where we belong. I needed this reminder today, Zeenat, having suffered quite a bit this past week from my own negative pummellings. Thank you for this post and for sharing your story. I loved it! I’ve also experienced that by just changing one’s thinking the external circumstances no longer seem that bad or threatening. Thank you for this. I loved hearing your story – your moment of epiphany. Beautiful and very helpful. Glad you liked my moment of epiphany 🙂 Funny how these moments come at just the right moment. Hey Zeenat, I agree it is the little things that sometimes make the greatest impact. Your letting go moment is an inspiration. We try to hold on and wrestle things we have no control over and it makes us frustrated and angry. Each of us is smart and if we are open to figure a way through a situation we can. Anger, negativity and complaining hold us back, and keep us from our full potential. I love your blog. It re-enforces my happy thoughts for the week. I Am so glad this story touched you at some level. It is truly amazing what we truly are capable of ..if we just let go of negativity and embrace positivity. Thanks for sharing this great learning experience, Zee. It reinforced a lot of my thoughts on the subject. Acceptance is actually the best way of inculcating positive thinking in your life. Infact acceptance is the first step….acceptance of everything and everyone around you. You end up having little or no negative thoughts if acceptance is part of your life approach. I loved hearing your personal story. The key for me is letting the mind rest. From that state of spaciousness all possibilities can emerge. I have found that we truly do over use our minds….so much so that we forget our core instincts. Letting the mind rest for a bit…really lets our our true heart self. And thats always a good thing. God bless that rainstorm, Beautiful Zeenat, because it gave us the YOU we all know now. I’m so grateful for rain!!! Like you, I chanced upon positivity and it’s been a nine-year way of life so far. I find that the more I practice it, the easier it is to pull out of nosedives I might find myself in. And the other great thing is that because I’ve been practicing positivity for so long, my low’s aren’t as low as they used to be. Nor are they as “sticky.” They don’t keep me stuck very long. Thank you fro being here and sharing your infectious joy! Hi there my dear Z! Well thank God for Epiphanies! Even the wet ones! Lovely story and example of a “turn around” in thinking. I get asked the same question “How come you are always so positive?” In fact, I have one friend (a member of the the I Can’t Club!) who gets ticked at me for always being positive and encouraging her that yes she CAN! We spend limited time together actually – I confess I find her negatives all the time a bit exhausting and she likewise I’m sure. Whatever. We are in each others lives for a reason. I sometimes think she is my “test” of positive resolve and that’s fine too since it keeps me on my toes! Thank you fro your beautiful comment here and am so so happy you liked this wet epiphany! What a beautiful story about your experience at 21. I had a really tough childhood and young adult years. Being positive is what kept me going. There will always be challenges in life. They are a given. The key is to accept that reality and find a way to work through it. We learn from our experiences and especially from those that cause us pain. What a wonderful story of discovery and growth! And – like Megan – I am glad it rained that night…and it led to who you are today. “We are all born to shine”…I LOVE that!!! And we are…it’s within us all!! 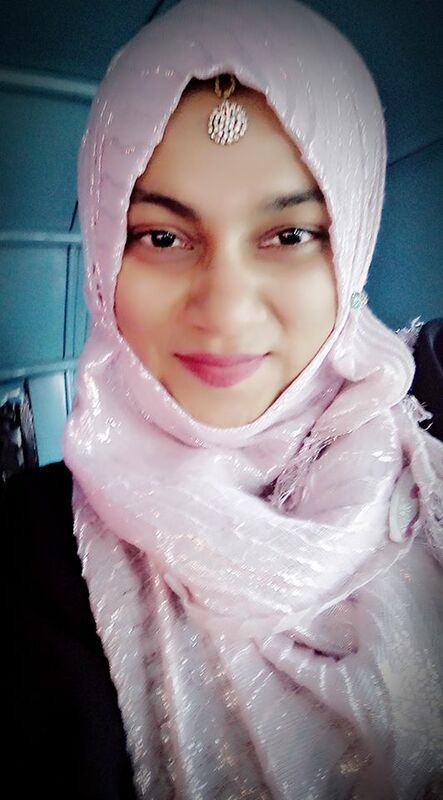 Zeenat, I am so blessed to know you….keep on sharing that beautiful shiny YOU with the whole world!! I am so glad you enjoyed this little story…and happier to read such wonderful and warm words form you. Appreciate your love and support. Thank you! I actually have a very similar story to share and you’ve inspired me to write about it on my blog but it involved me being totally stuck almost in the middle of nowhere. I’ll share that story soon but I’m so grateful for you that, that event occured, were it not for that would you be where you are today? Who knows, maybe an alternate event would’ve come along, but at that moment it was your ‘awakening’ and it’s a moment you cherish because it was the moment you chose to change! And seriously it truly was my moment of awakening. I hope we all have these cherished moments, we can someday share with our kids…and tell them its ok to be imperfect sometimes…as long as you learn and come our positive. I’m an optimist. When something happens to disrupt my life, I remind myself, God has a plan and even the challenges are part of it. I find I enjoy looking back and realizing if “A” didn’t happen, then “B” wouldn’t have happened and I wouldn’t be where I am. God certainly has a plan! What you say about ‘if “A” didn’t happen, then “B” wouldn’t have happened and I wouldn’t be where I am’=> thats just the awesome ripple effect….I like how this works too. Its my favorite part of living ! although i propagate a lot about +ive thinking and keep hammering my husband and son to be more positive in their thoughts, as positivity will attract positivity. but we all are human beings and when things start going wrong, there doesn’t seem a ray of hope then even a staunch believer in +ive thinking would resort to think _ive. I get what youre saying…it can be difficult at times …to be positive..but it comes with practice. I will certainly check out your post and leave my thoughts on it. This story is a great reminder that we have choices about how we approach life situations. We can choose to be angry, sad or depressed about something or we can choose to look at situation with humor, forgiveness and even kindness towards ourselves and others. We can choose to be gentle with ourselves. And youre so right…it is indeed our choice….if we choose we can be happy positive humane beings! Hello Zeenat, that is a wonderful story. It really resonated with me. Thanks for that! There is always a blessing to be found, each and everyday…that’s what gets me through the difficult ones…seeking out the blessings…the small beautiful, simple blessings. Great post! Youre so right! Blessings are everywhere…and they do help us heal and keep a positive outlook in life. I love this story!! Love it! And sweetie, you shine like no other ! Wow, what a wonderful story. It’s almost like Eckhart Tolle’s tale at the begnning of his book, “Power of Now” on how he gained enlightenment. His mind just got so fed-up of being depressed that that part of him just switched off, permanently. Thank you for sharing. i am not mature enough to review this with wise words..
and feeling like your page is one of the positive places of the world for me. Thank You with all positivity 🙂 . I am glad this page and my blog are positive resources for you. Thats what this blog is here for. Here’s hoping you have an amazing, happy and positive life.